Regional fieldworker Dr. Clinton Westman conducted his research in the boreal forest region inhabited mainly by Cree and Metis people. The communities where he has ongoing research relations include Bigstone Cree Nation, Peerless-Trout First Nation, and Woodland Cree First Nation. These locations were first visited by missionaries and traders in the late 19th century but did not exist as permanent communities until the 1950s and later as people were larger dependant on the bush for their survival until the arrival of roads and industry in the 1970s. 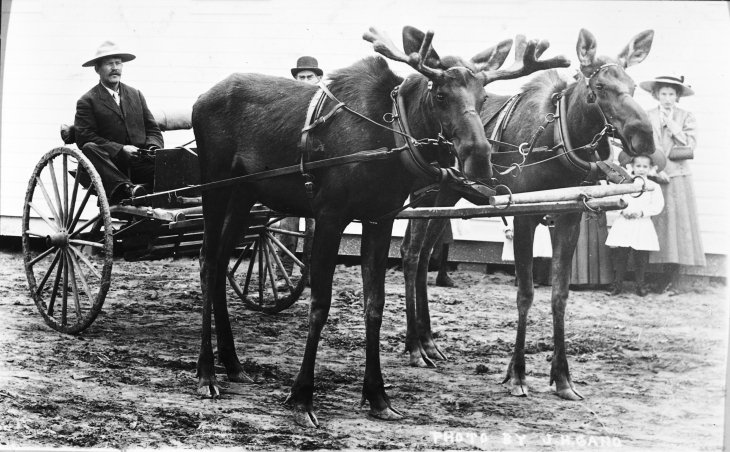 Dr. Westman focused on relations with key subsistence species such as moose, but also with other species including the importance of fish, as well as the historical use of dogs for transport. He studied the vocabulary (in Cree and English) and modes of discourse for referring to animals, as well as the sense of place and terminology for landscape locations (especially landscapes particularly implicated in subsistence or ceremonial practices), as well as animist and shamanic rituals oriented to animals, including the “Eat-All Feast” (wihkohtowin). Influential ethnographic studies of contemporary Cree people in the Canadian subarctic suggest that Cree relations with animals have focused on the ambivalence, alternately invoking categories such as friendship, love, pity, enmity, exchange, and deception to explain the dynamic between predator and prey, spirit and supplicant. Westman used this body of work to query ideas about human-animal relations; not only to search for ideas and practices that appear to fit on a continuum towards domestication, but also to consider the rapport between humans and animals in a spiritual, religious, or cosmological sense.